Mega Star Chiranjeevi and Koratala Siva are in plans to work together for a new movie, and the film will be a message oriented movie packed with commercial elements. The news has been making rounds from sometime, but there have been few rumors that Chiranjeevi was not satisfied with Koratala's final draft, and that the director has to work on new script. However Ram Charan's production house Konidela Productions and Matinee Entertainments banners who are bankrolling the film have condemned the rumors and clarified that the final draft of the script is locked and the Mega Star has liked. Ram Charan has been quick to thrash such rumors. 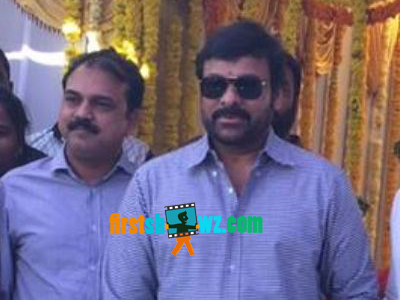 Mega Star Chiranjeevi is currently busy with Surender Reddy directorial Sye Raa Narasimha Reddy while he'll join the shooting schedules of Trivikram, Danayya combo next, after which he'll be working with Koratala Siva.